The car rolls towards the abyss, slants and vertically plummets 60 meters after a short halt. 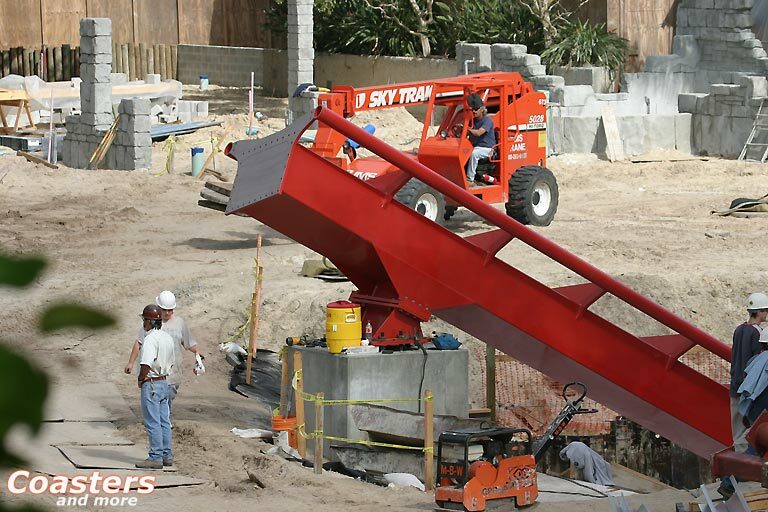 SheiKra at Busch Gardens Tampa Bay is the third dispatch of the Diving Machine by Swiss consulting engineers Bolliger & Mabillard and marks one of their most innovative designs. 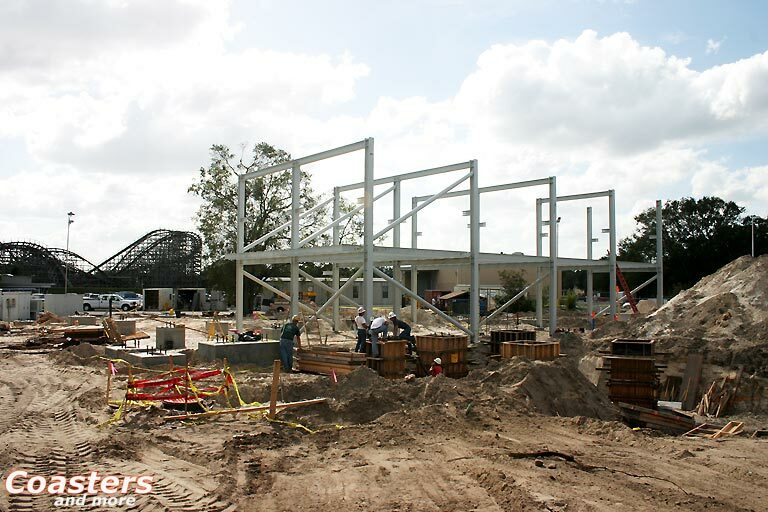 Half a year before the scheduled opening the area is still a large construction site, but the impressive dimensions of one of the most important roller coaster novelties for 2005 can already be seen: "We are very proud to be able to open this roller coaster which is unique for the US", says Jill Revelle, spokeswoman of Busch Gardens Tampa Bay. 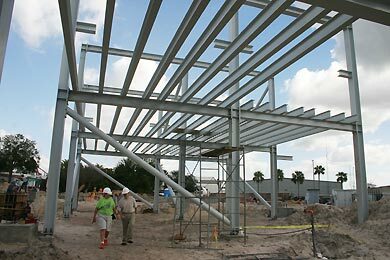 Amidst Mayan remains the steel giant will stand 61 meters tall. 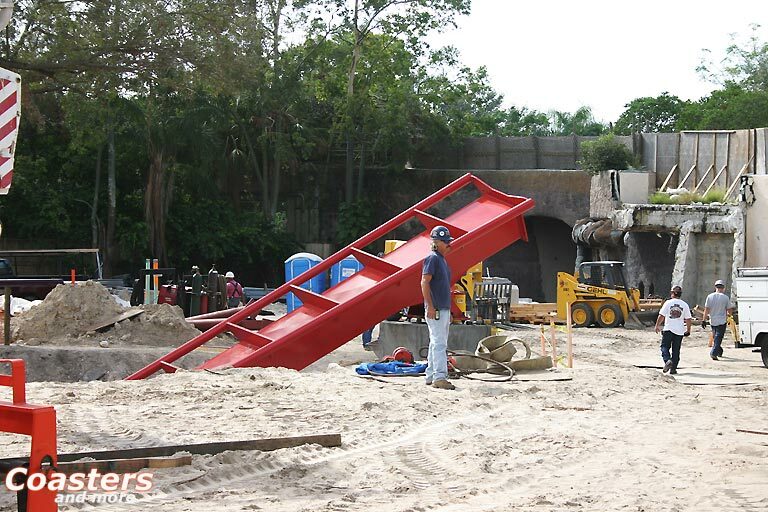 From spring 2005 on it will not only let the riders plummet down vertically twice, but will also negotiate an impressive Immelmann Loop, three steep turns and an upwards helix. 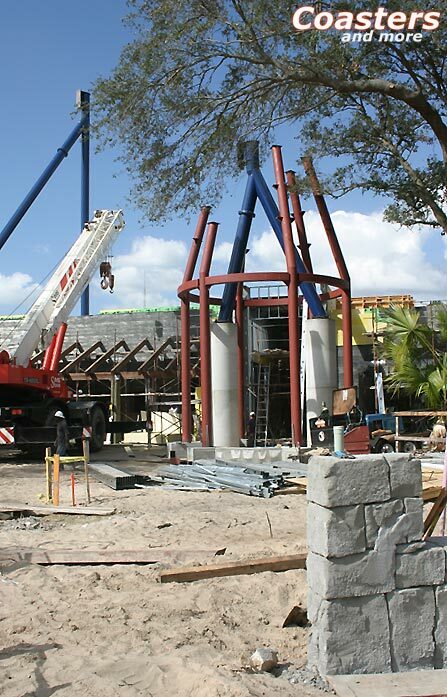 As an additional highlight there will be a lake the trains dive into to generate a 20 meters high water fountain. "SheiKra will offer loads of action, fun and thrill to our guests", says Mark Rose, head engineer at Busch Gardens Tampa Bay. Since 1982 he is responsible for all building activities at the park, among them the Schwarzkopf classic Scorpion or B&M´s first major looping coaster Kumba with a track length of more than 1200 meters. 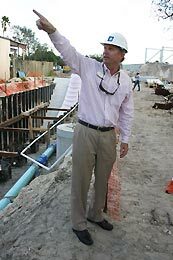 Now he roams through the SheiKra construction site at the Stanleyville area: "This is one of the last areas that need a major refurbishment", says Mark Rose while he strides through a huge steel cage. This cage will later carry the station. Its gigantic dimensions are more than necessary: SheiKras cars offer eight seats per row instead of four found on the other B&M coaster types. Three rows are linked to form a train. Two of the five trains can be loaded and unloaded simultaneously before they are dragged up the 61 meters high and 45 degrees steep chain lift. Two trains can be carried by the chain at the same time. "The 24 seats per train combined with a high dispatch frequency gives us a sufficient capacity", says Mark Rose. SheiKras dimensions are pretty impressive: "The track gauge has been widened like for the two predecessors in England and Taiwan", says Mark Rose while he is standing on the concrete foundation of the tunnel the second drop will lead into. 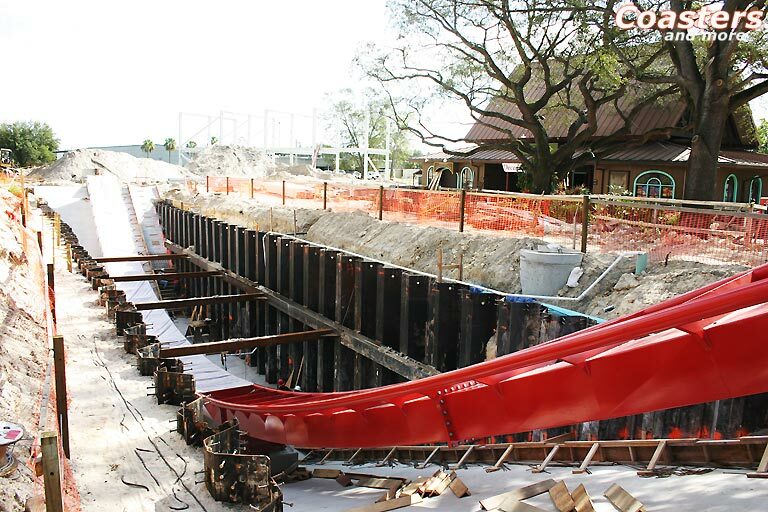 The first red track segments have already been installed. The scene reminds of Oblivion at UK´s Alton Towers, the B&M Diving Machine prototype. Embedded into a stylized secret base the almost vertical drop catapults the cars there into a 35 meters deep hole filled with fog. Directly behind this hole a curve leads back into the station. "For SheiKra this concept has been extended in many ways", reports Mark Rose - not only regarding the track length that has been stretched to almost 1000 meters. "Our new Diving Coaster is on the drawing boards for three years now - loads of time for the experts at B&M to develop not only steep curves and additional drops, but also two new special features." 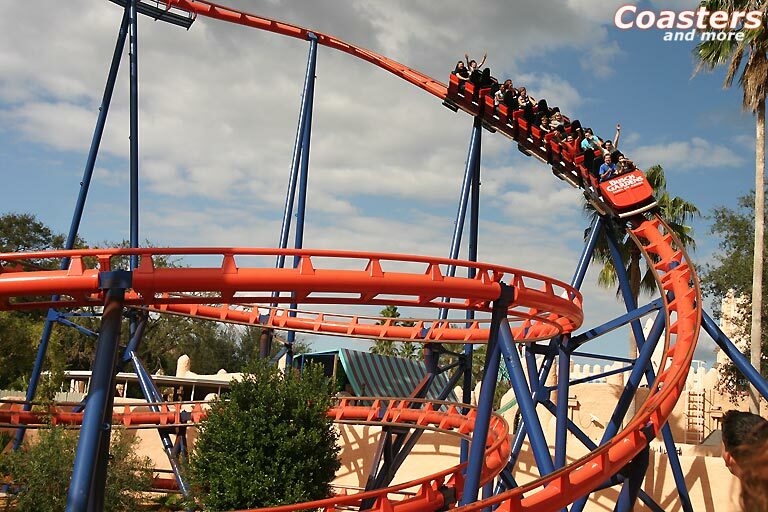 So with the Immelmann Loop SheiKra is the first coaster of it´s kind with an inversion to be negotiated by the very wide cars. The element directly follows the first drop. 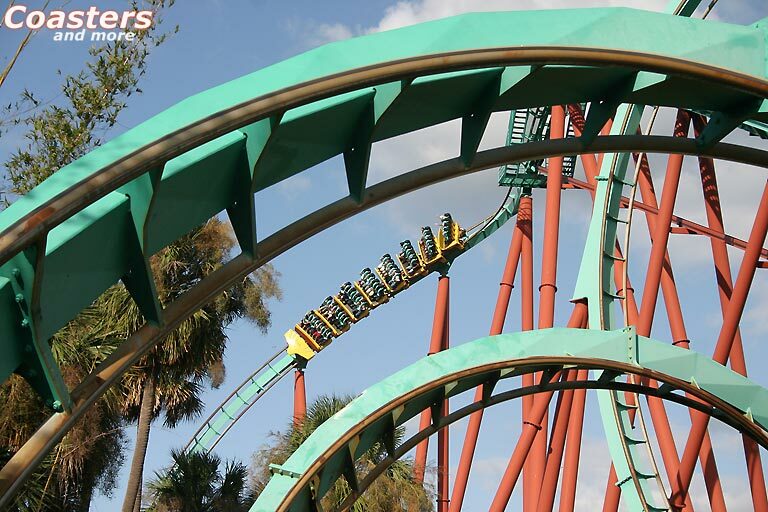 Like at Oblivion and G5 the cars are held in an inclined position by brakes for a short time before entering the drop, then they dive down with a top speed of 112 kilometers per hour for 60 meters. Without reprieve the 46 meters high Immelmann Loop follows, an element that begins like a vertical loop and ends with a half corkscrew at the highest point to bring the passengers back into a non inverted position. Mark Rose points towards the sky and sketches an imaginary curve: "The train slowly glides through the block brake to roll towards the second, 90 degrees steep drop that leads into a ruin and underneath the ground, this time without a holding brake. Airtime for everyone", he says with a smirk. 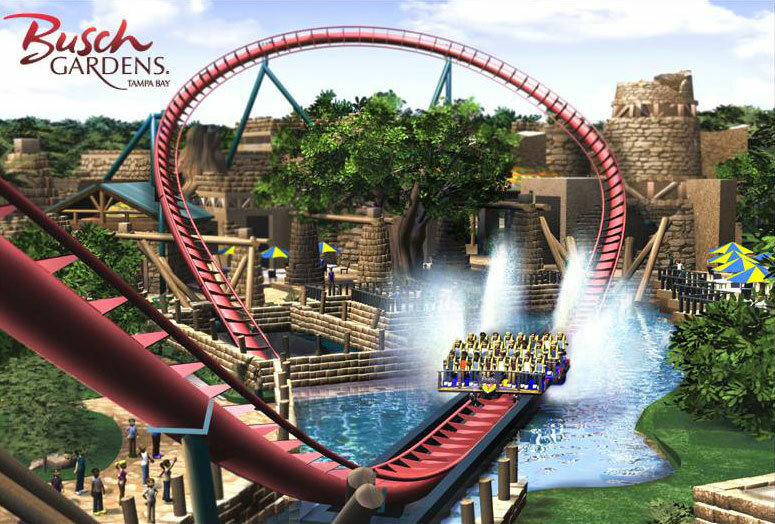 The cars plummet down 45 meters and goe underneath an artificial lake that holds the second special feature of SheiKra. Equipped with shovel-like baffles on both sides of the undercarriage the train shoots through the water and generates a water wall which will mainly impress the numerous park visitors: "The water spray will rise up to 20, 25 meters behind the vehicle and make for quite a cooling", tells Mark Rose. But vehicle and passengers escape this effect because the track leads through a concrete canal while the shovels below the wide cars raise the water. "When the wave comes down, the train is already in the upwards helix towards the station", the engineer assures. "This has been investigated in a couple of experiments." Between the tunnel and the water segment a 20 meters high turn is placed as another highlight, directly passing over a new park restaurant. 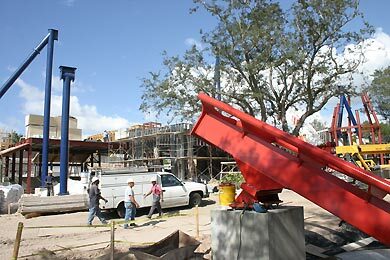 Multiple teams of toilers work at the construction site to finish SheiKra in time for the 2005 high season. "An exact opening date can´t be determined yet, but right now we reckon the month of may", says Jill Revelle. 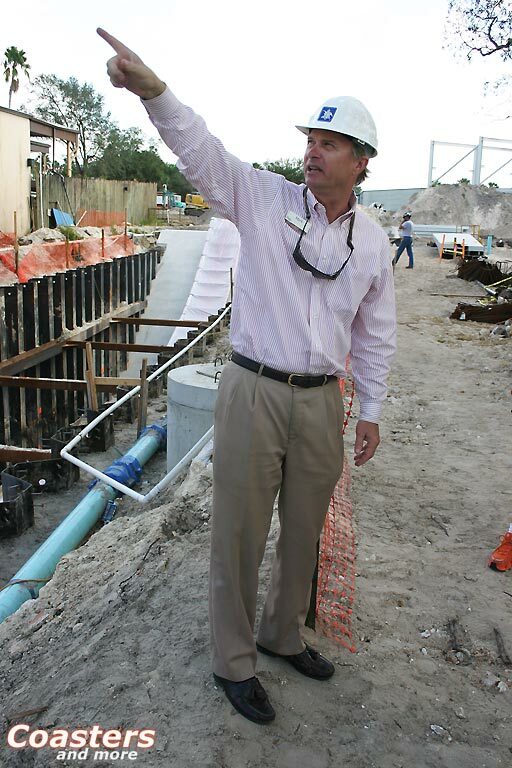 Mark Rose eagerly awaits the grand opening even though the ride still means lots of work for him: "With B&M we have a very reliable partner." So at least he mustn´t be afraid of sleepless nights.